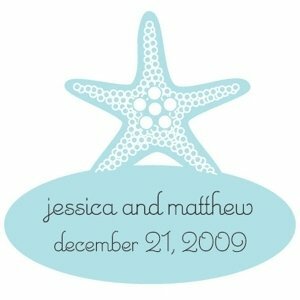 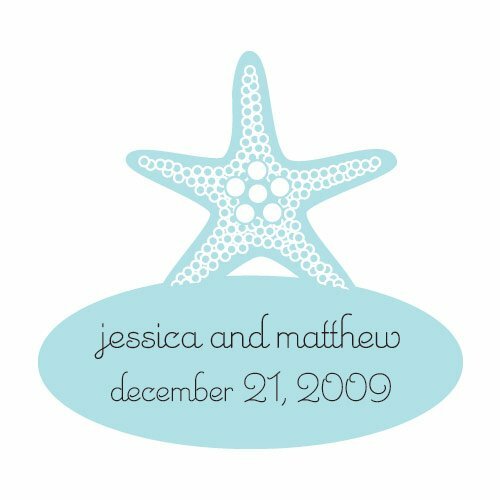 Available in a wide array of colors, these unique starfish shaped stickers include 2 lines of personalization such as your names and wedding date. 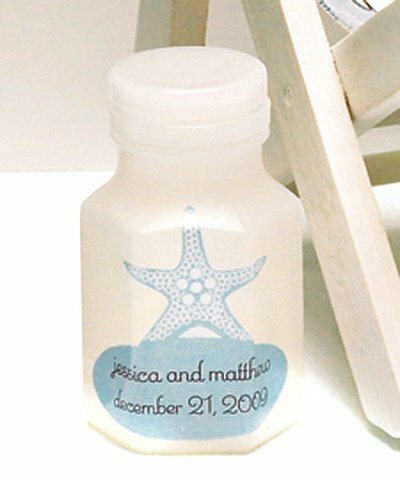 Use them to embellish and add a beach flair to individually boxed beach themed favors, bubble bottles or even favor boxes. 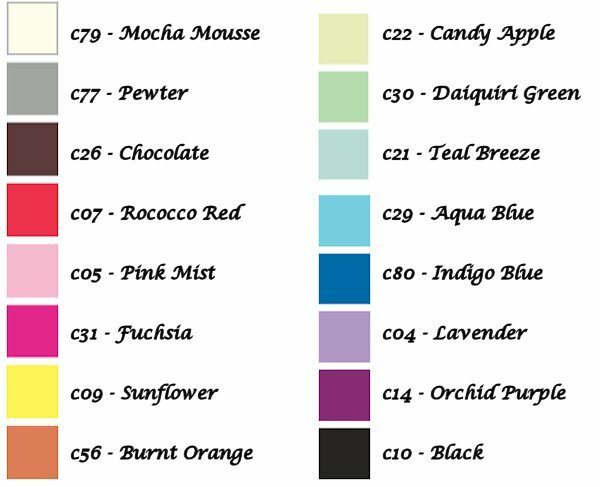 Min order of 36. 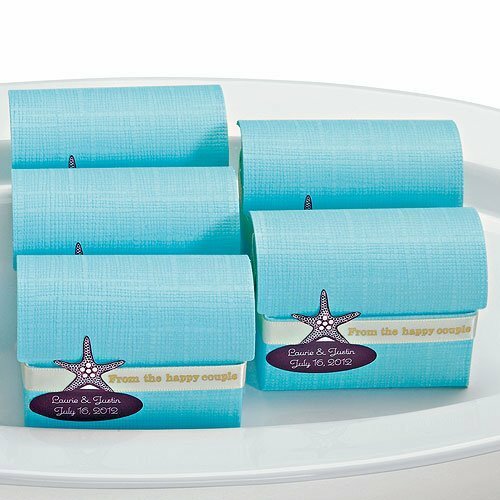 Product dimensions - 1 1/2 x 1 3/8" H.